Cut skin off cucumber and muddle in Boston shaker. Add vodka, lemon, sugar and shake. 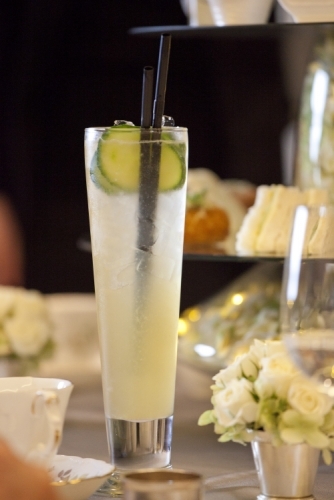 Strain into sling glass and garnish with cucumber.